Finding the right lawyer can be stressful, confusing and just plain difficult. As many prospective clients begin their search on the Web, it’s imperative that your website differentiates your firm amongst a sea of competition. 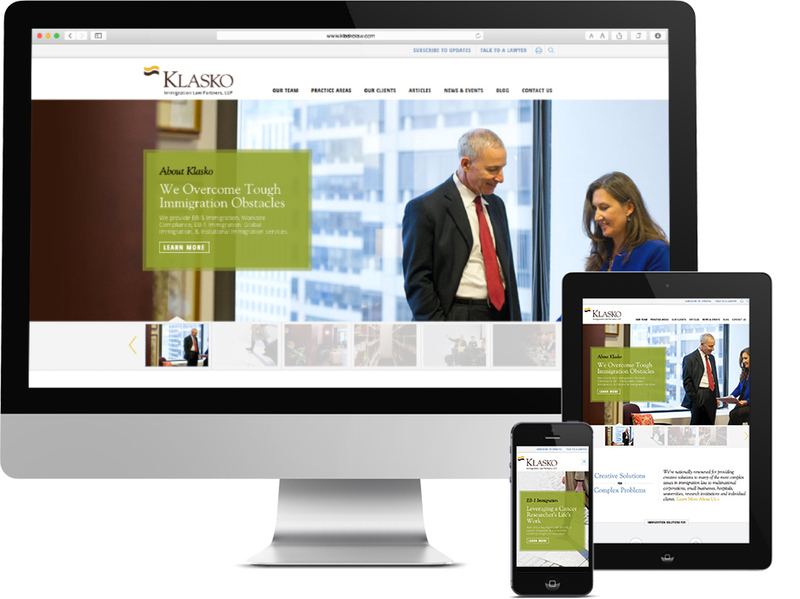 At Push10, we recently had the opportunity to re-imagine a new website for Klasko Law, a Philadelphia-based Immigration Law firm. 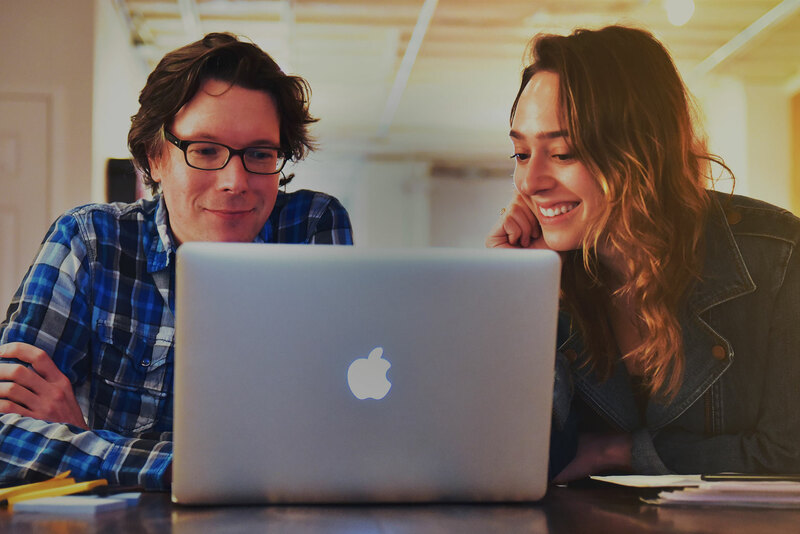 Along the way, we were able to implement a series of tactics and best practices to increase awareness, drive traffic, improve user flow and ultimately increase conversions. Building a website without additional marketing support is like building a billboard in a forest. It might be a great billboard but if nobody sees it, it’s worthless. Driving more traffic to your site doesn’t need to be rocket science. First and foremost, every page of your website needs keyword-rich page titles and meta-name descriptions. Likewise, the page content itself should contain relevant keywords. But that’s not enough. In addition to keywords, Google places much importance on the number of inbound links from credible, relevant sources. Planning and implementing an effective content strategy is vital to generate more inbound links. While this should provide an initial boost in organic rankings, traffic can be further increased via pay-per-click campaigns, social media and more. You dress in your finest, so why doesn’t your website? The suit you wear to the office may be different than the suit you wear to court. Your website needs that extra pinstripe or shoe shine too! Clean lines, clear layouts and subtle animations can help underline your firm’s culture and sophistication. 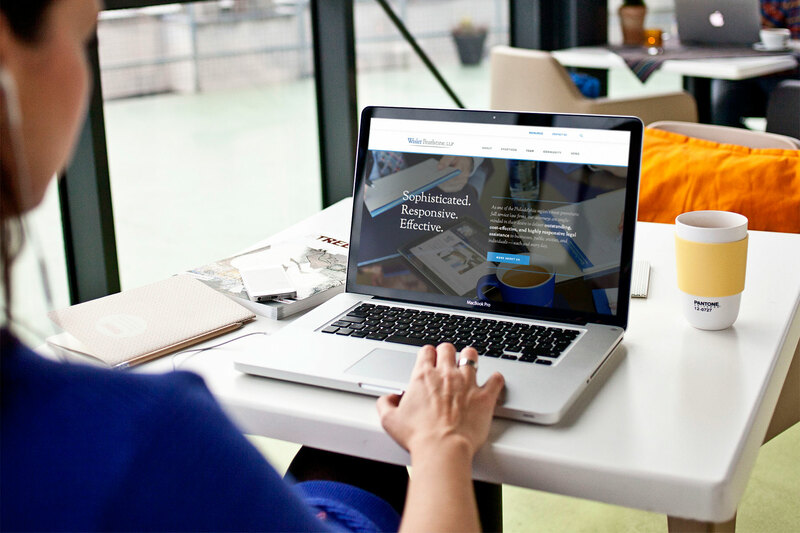 Often when one is looking for a lawyer they want to feel that they are working with the best, and a sleek and powerful web design portrays a certain level of professionalism and quality. As mobile usage continues to rise, it’s paramount that your website features a responsive interface design that adapts to provide an optimal user experience across a wide range of devices. So a prospect has landed on your site. Congratulations – but now what? Your website should provide users with key information about your firm as well as relevant, unique and expert content. The blogs, news, and volumes of articles available on your website are a definite wealth of valuable information. The immediate content overload that confronts a user can be confusing. However, it’s important to create a logical organizational structure to present your expertise in a user-friendly manner. Begin by offering teasers that lead to deeper content, so that you don’t overwhelm users with an avalanche of text. The attorneys in your firm ARE your firm. When a client retains your services, they’ll expect to be connected to an individual who is an expert in the area needed. Why not introduce them early? Call out your team members, laud their achievements and underline their personality. Create personal and engaging team bios that feature their areas of practice, education, achievements, social profiles (especially LinkedIn) and key contact information. Don’t make it hard for users to reach out. It’s one thing if you say your law firm is great. It’s something entirely different when one of your clients says the same. Displaying recognition from previous clients can go a long way in building trust and convincing prospects to engage your firm. Old-school testimonial pages don’t work. Rather, it’s much more effective to display relevant testimonials in key areas of your site. For example, a well-placed testimonial on a case study page will come across as sincere and convincing. Your website should feature prominent, logical and compelling calls to action. Whether it’s subscribing to a newsletter, requesting a white paper, or filling out a form, make it easy for users to get in touch and continue their engagement with your firm. You’ve invested a lot in your website and it has encouraged prospects to reach out to your firm. Great! Now is the time to keep them engaged via consistent communication. Regular, scheduled email newsletters are a great tool to demonstrate thought leadership and maintain top-of-mind awareness. In high-volume situations, marketing automation tools like SharpSpring and Act-On can take the stress out of manually managing the content distribution process. Ultimately you’re selling a service that your client needs. While not always easy, placing your best foot forward when it comes to your website – content, appearance, and usability can be the difference between acquiring a client and passing one along to your competitor. We’d be happy to help! Feel free to reach out to schedule a consultation. We will analyze your current site, discuss room for improvement and talk about the next steps toward a stellar online presence.